As expected, the State Board of Education gave its blessing Thursday to two virtual charter schools applying for a new pilot program set up by the state legislature. The new public schools will allow students to take their entire course loads remotely, and stand to send millions in public education dollars to two companies that will manage the daily operations of the virtual schools. N.C. Policy Watch has been covering the push by K12, Inc., the company behind the N.C. Virtual Academy, since 2011 to open a virtual charter school in North Carolina. The company has been criticized in other states for its aggressive lobbying of public officials to open schools, as well as low academic results from many of the public schools it manages. On Thursday, the state board also decided to drop a requirement that would have required schools to provide or pay for learning coaches for students whose parents can’t serve in that role. Get ready to add “attend third-grade” to the growing list of things you can do over the Internet in North Carolina, after ordering pizzas and watching cat videos. The State Board of Education, which oversees public education in the state, is expected to approve two charter schools today that will teach children from their home computers in schools run by Wall Street-traded companies. Daily monitoring would be in the hands of “learning coaches,” a role that’s been filled by parents, guardians and athletic coaches in the more than 30 other states that offer publicly-funded virtual schooling options. Today’s anticipated vote of approval (click here to listen to an audio stream of today’s meeting) will be a significant change of the state board, which fought an attempt in the courts from the N.C. Virtual Academy to open up a virtual school three years ago. If approved, the N.C. Virtual Academy (to be run by K12, Inc., NYSE:LRN) and N.C. Connections Academy (to be run by Connections Academy, owned by education giant Pearson, NYSE:PSO) will be able to enroll up to 1,500 students each from across the state, and send millions in public education dollars to schools run by private education companies. Did anyone at the B of E research K-12, Inc.’s history of malfeasance, or do they consider it a pro instead of a con? All part of the GOP’s less is more campaign. This is definitely a step in the right direction. An additional resource for students and schools that may not have the resources. Using technology to deliver the product is a way to the future. I am surprised more of the government schools have not worked to farm some of the more specialized curriculum to online programs anyway. I agree, and I am so glad they got approved. 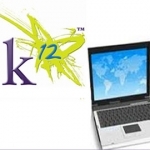 We used K12 two years ago and we found the curriculum amazing. It is rich, but quiet intensr, so definetely not for children, who need more time or individual attention. But for advanced students, who get normally ignored in PS is perfect! Way to go NC!